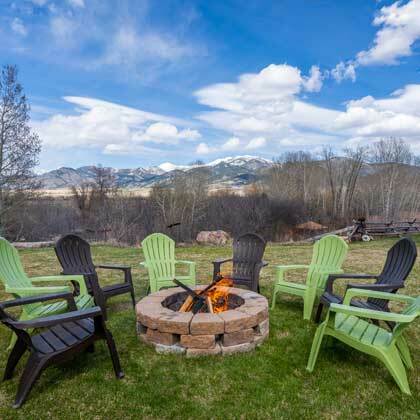 Located just three miles north of downtown Bozeman, Montana, Cherry Creek Guest House is an eclectic 4 bed/3 bath home featuring a spaciously comfortable interior, incredible mountain views and beautiful yard with hot tub and fire pit. 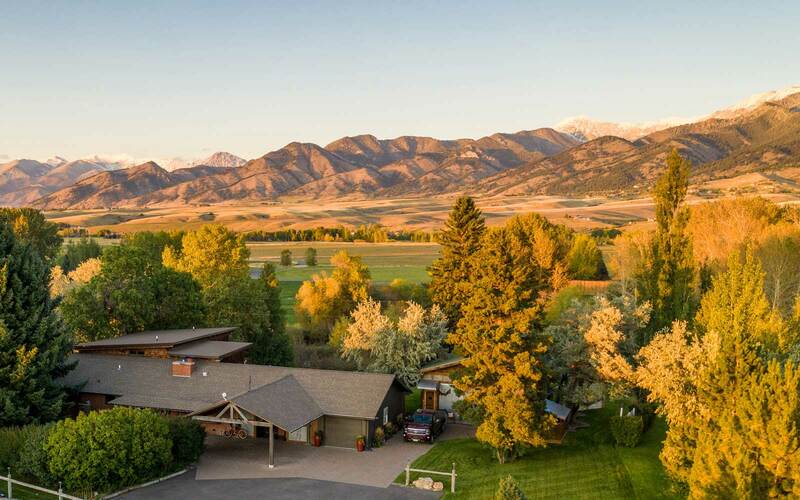 With a view to the East Gallatin River and Bridger Range of the Rocky Mountains, you’ll feel as though you are in the Montana wilderness while abundant shopping, fine dining, recreation and entertainment are just around the corner. 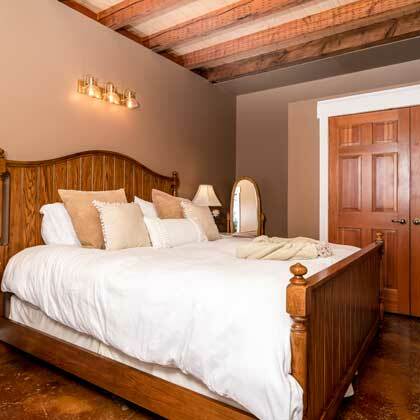 This 3200 square foot home offers truly memorable lodging. 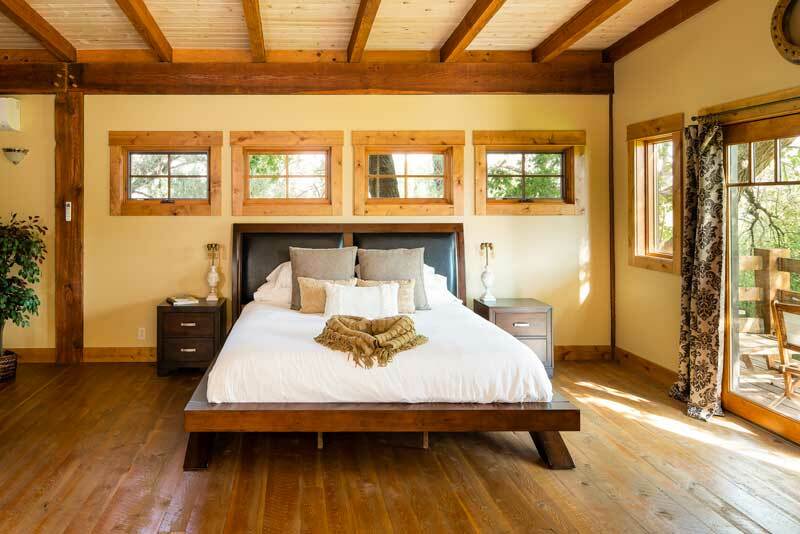 From the artistic slate and Douglas Fir timber flooring to the vaulted ceilings with reclaimed wood beams, Cherry Creek Guest House is something everyone should experience. Comfortably seats 8 people with a spectacular view. 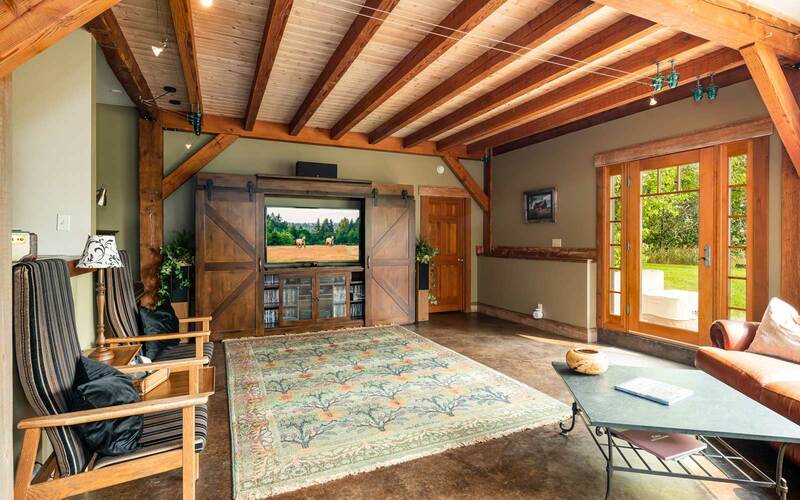 Large library and TV/DVD entertainment space. 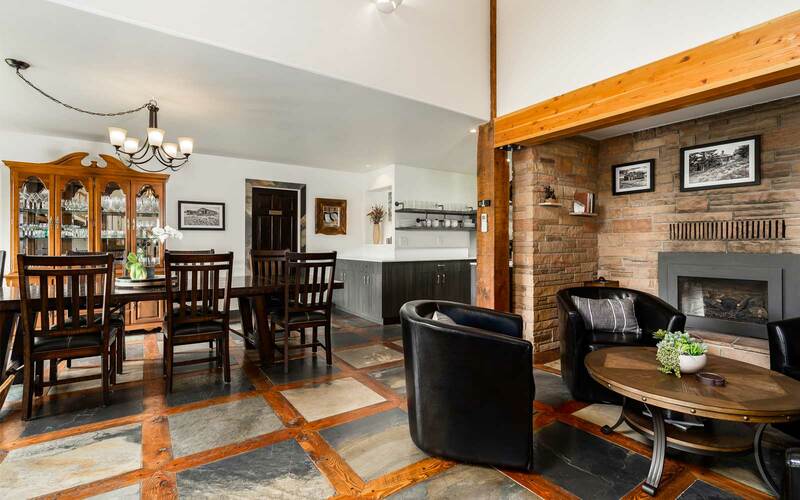 Cozy sitting and conversation area. 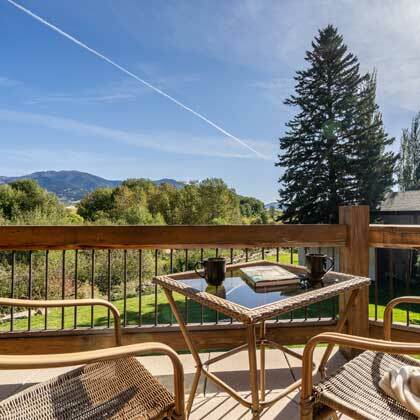 King bed with private deck viewing the Bridger range of the Rocky Mountains. 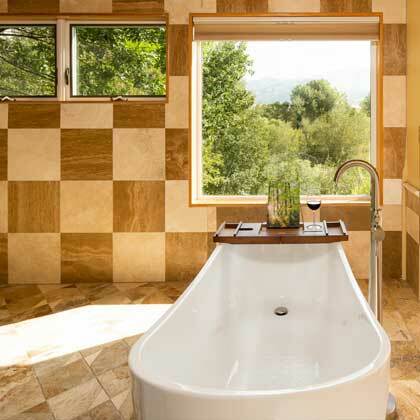 Custom build-in jetted tub with massive picture window to mountainous view. 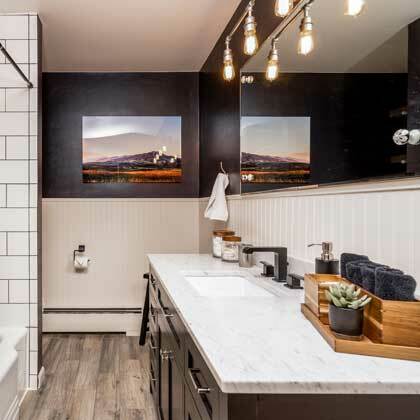 Plenty of room to shower while enjoying the scenic outdoor sights. 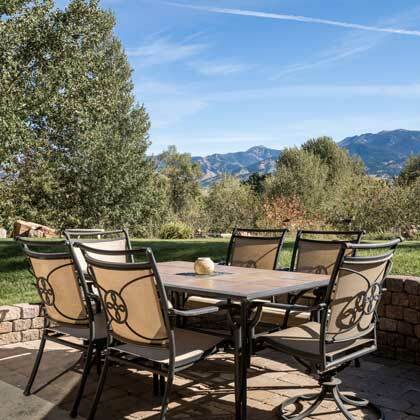 Adjacent to the master is a lovely deck with stunning scenery. 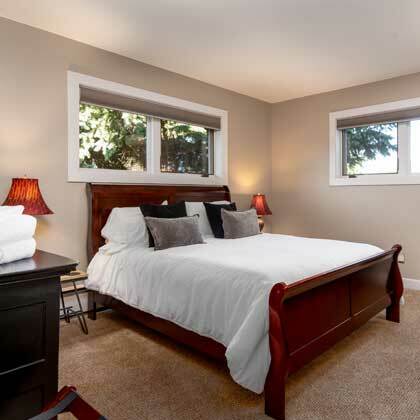 Main level bedroom with Queen bed. King bedroom adjacent to sunken living room. 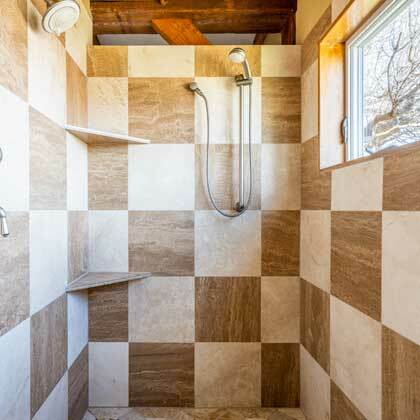 One main level bathroom features a bathtub/shower and the other a large walk-in shower. View from the backyard into Guest House. 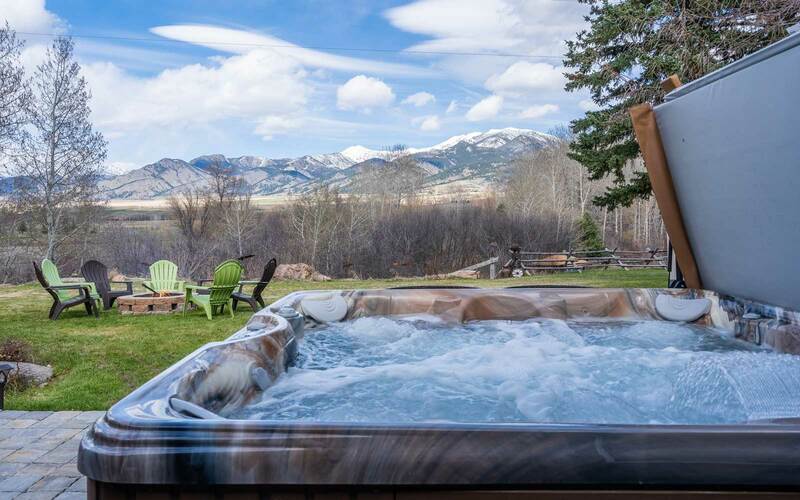 Soak in the hot tub and enjoy the remarkable Montana backdrop. 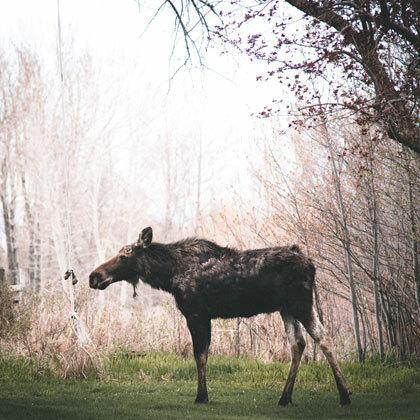 Come see what Bozeman has to offer for wildlife viewing. 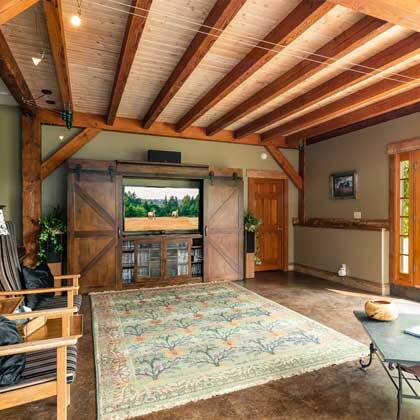 Massive carport provides shelter from the elements while unloading. 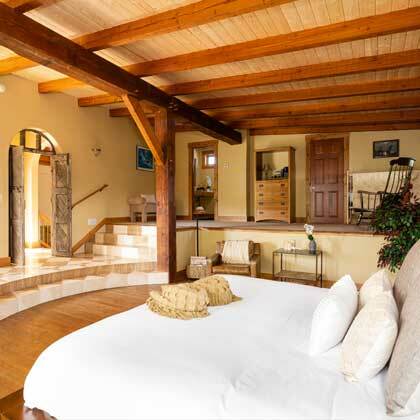 The home accommodates up to 8 people with 4 bedrooms and 3 bathrooms. 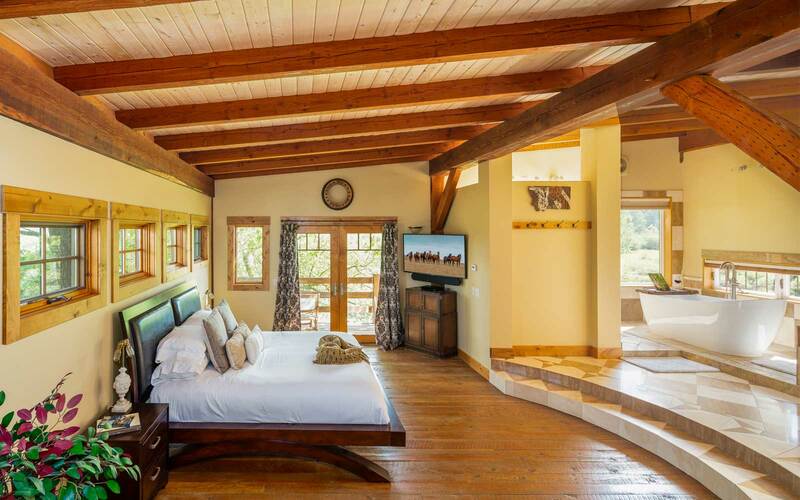 The upper level includes the master suite with 2 decks, a luxurious bathroom with built-in jetted tub and walk-in shower, king size bed, and a TV/Blu-ray player. 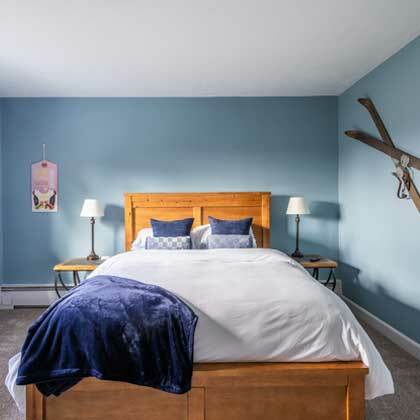 The main level features 2 bedrooms with queens, TVs and 2 bathrooms, one with a walk in shower and the other with a shower/tub. Off the sunken living room is a fourth bedroom, with a king bed, and TV. The retro kitchen is fully stocked with everything needed for vacation cooking. 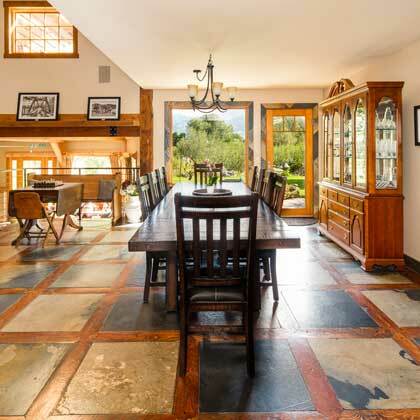 In addition to dishes, utensils and cookware, you’ll find the necessary appliances, coffee maker, crock pot and blender. A washer and dryer are adjacent to the kitchen for convenient laundry access. The dining room will seat 8 comfortably with a spectacular view and there is ample outdoor seating. There is a gas barbecue grill for outdoor cooking. 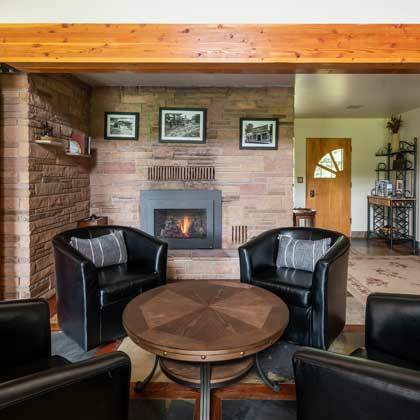 The home has two separate living spaces including a cozy sitting area by the gas fireplace and a sunken living room with comfortable seating. There is a TV with antenna reception, blueray player for internet account access, extensive DVD library, games, and books. Free high speed internet is provided. A train passes within view and earshot about 1/10 mile away. We provide complimentary earplugs for light sleepers. 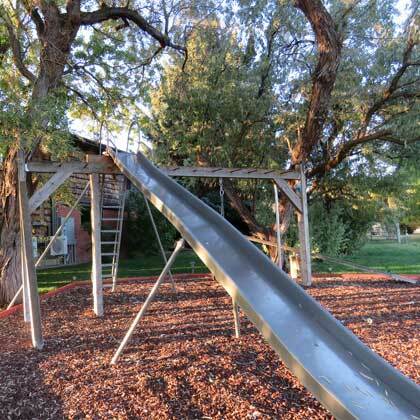 We are Michael and Debra Gill, native Montanans and proud owners of Cherry Creek Guest House. Michael is a graphic designer, including over 25 years with Bridger Bowl Ski Area and Debra is a fund raising consultant. 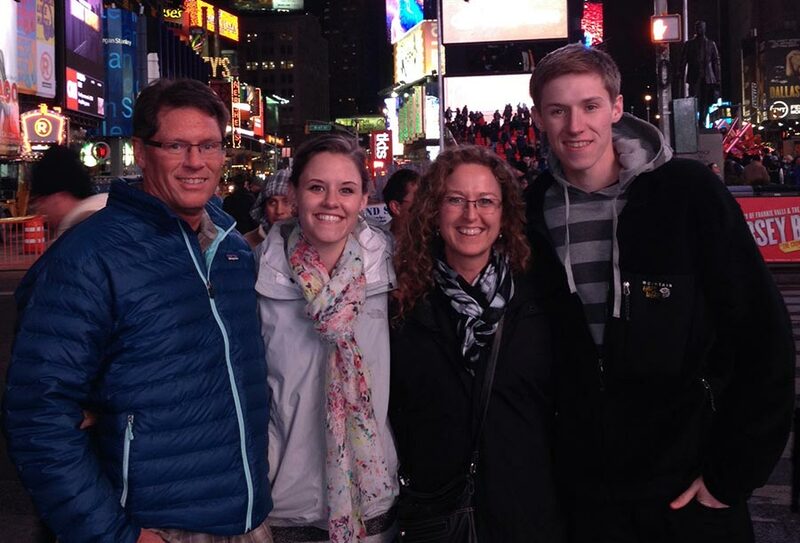 We have two adult children, Jessie who is an RN at Bozeman Health and Tucker who has a business marketing degree from Montana State University-Bozeman and works for a local high tech company. 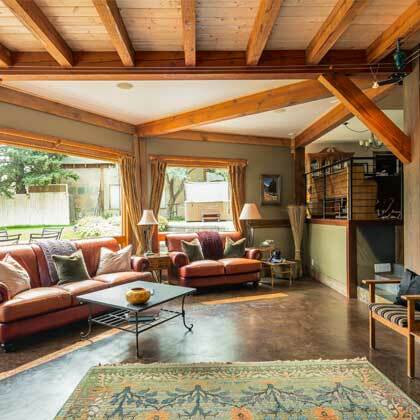 We reside in the stone studio home immediately east of Cherry Creek Guest House. We are available to answer any questions you may have but completely respect your need for privacy. 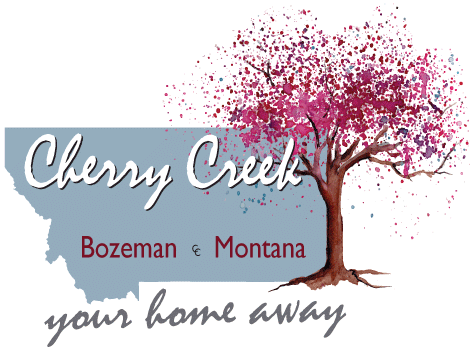 We look forward to welcoming you at Cherry Creek Guest House on your next visit to Bozeman, Montana.